If you missed Luca Todesco’s beta Yalu iOS 10 – iOS 10.1.1 jailbreak because you either didn’t get on iOS 10.x soon enough or simply didn’t save the shsh2/shsh files required to upgrade/downgrade to one of the supported versions for the jailbreak, don’t worry. 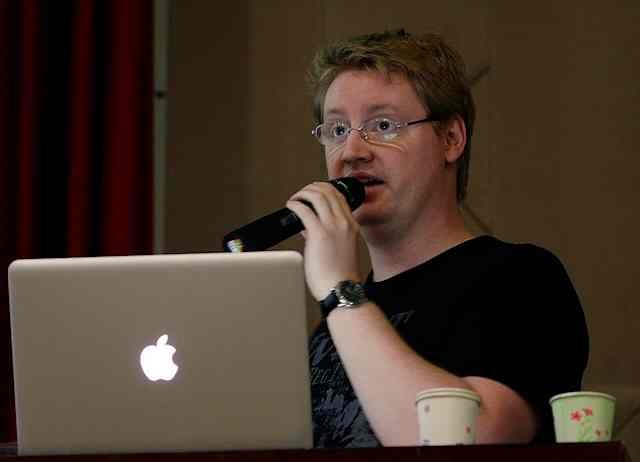 According to well-known hacker Stefan Esser, who trains people on OS X and iOS Kernel Exploitation, among other things, an iOS 10.2 jailbreak will hit soon. Esser declined to reveal any further information regarding the upcoming jailbreak, but he did mention on Christmas day that there was a team working on it. In recent times, there have been an exchange of harsh words and accusations between Esser and Todesco over some code, and Esser outright said that Todesco merely piggybacked on Ian Beer’s iOS exploit to create the Yalu iOS 10.1.1 jailbreak. Be that as it may, when an expert of Esser’s level clearly indicates that an iOS 10.2 jailbreak is on the way, you can’t very well pass it off as a hoax. But the sheer lack of information is frustrating, especially when you have so many “fake” jailbreak teams and wannabe mavericks trying to hog the limelight for themselves. 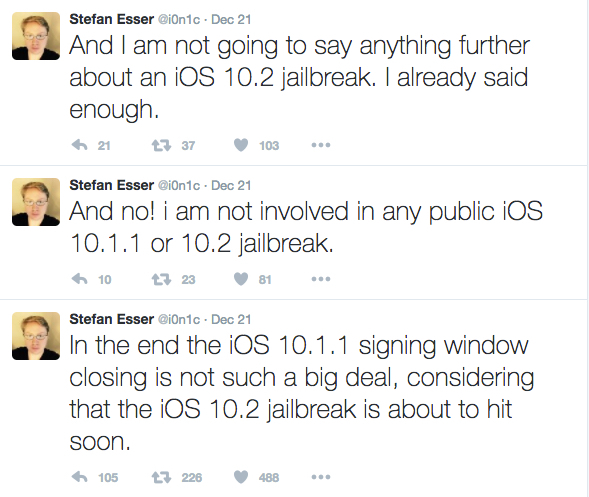 For now, we’ll have to take it with a pinch of salt, but Esser’s reputation does give a ton of credence to his assertion that an iOS 10.2 jailbreak is, in fact, just around the corner. In other jailbreak news, tihmstar has released his Prometheus tool that allows you do downgrade/upgrade to iOS 10.1.1 if you have already saved the blobs for the version before Apple stopped signing it.